The bombing of the safe zone, March 4, 2009. Some 40,000 Tamils were killed in the final stages of the war. 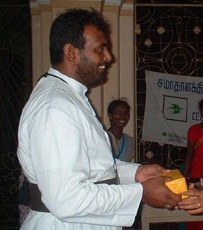 Two hundred and five Tamil Catholic Priests and Sisters from the North and East of Sri Lanka, including the Rt. Rev. 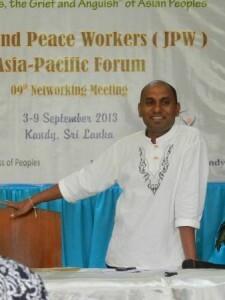 Dr. Rayappu Joseph, Bishop of Mannar and many Oblates, have written to the members of the UN Human Rights Council calling for an international investigation into Sri Lanka’s war crimes and human rights violations. The religious have called for the adoption of a strong and action-oriented resolution on Sri Lanka at the 25th session of the UN Human Rights Council. That session opened this week in Geneva. An inter-denominational rally designed to bring the nation’s Christians closer together was held in Colombo recently. The JHU, a conservative, predominantly Buddhist political group, is shepherding an anti-conversion bill through the Sri Lanka parliament that many Christians fear will seriously interfere with their charity work. Thousand of believers, including Catholics, Anglicans, Methodists, Baptists, Presbyterians, members of the Ceylon Reformed Church and evangelical groups, joined in worship and song at the city’s main Anglican church, the Cathedral of Christ the Living Savior, on June 25.